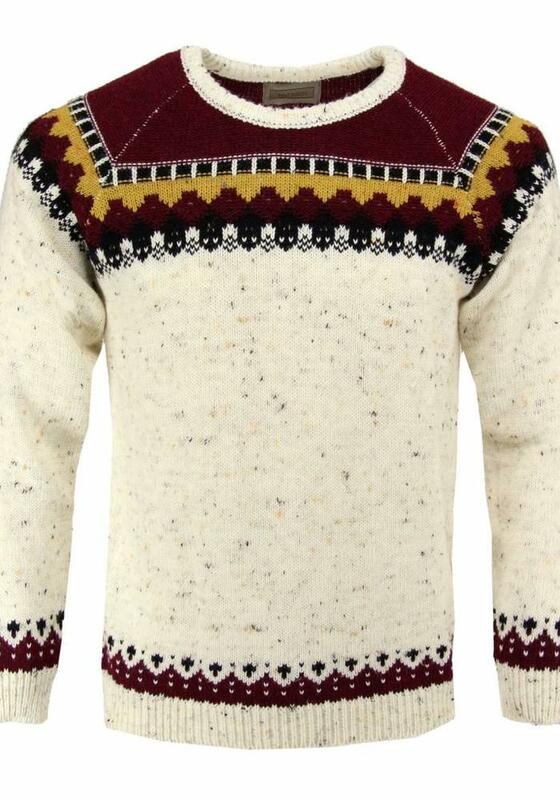 Norwegian jumper from the upcoming Italian brand Antagon. 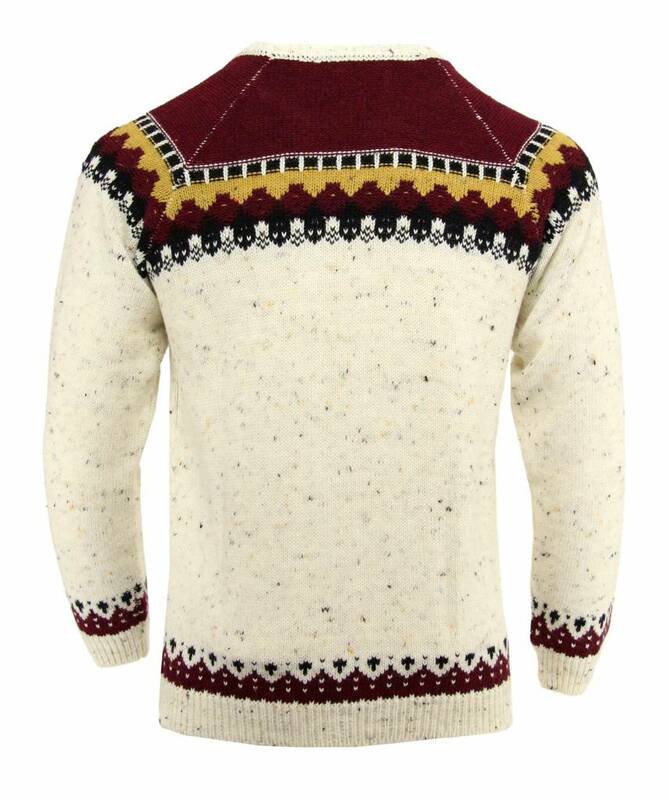 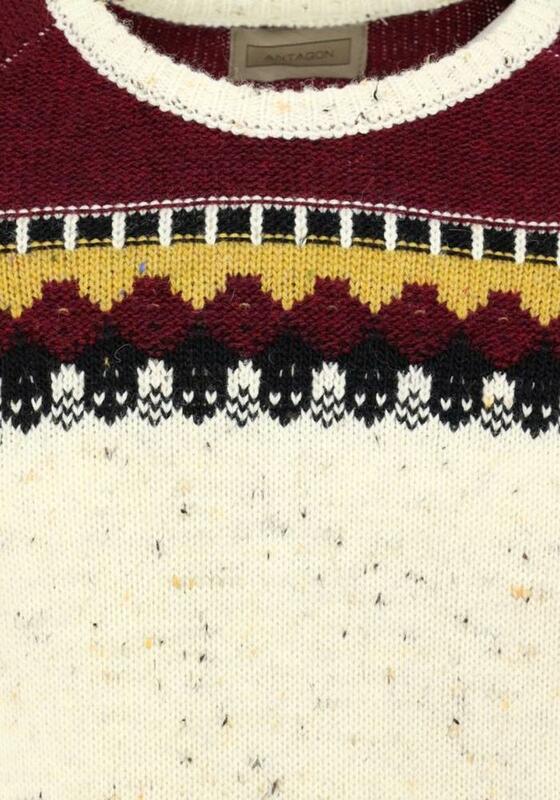 This knitted men's sweater is nice and warm and has a real wintery look because of the Norwegian pattern. 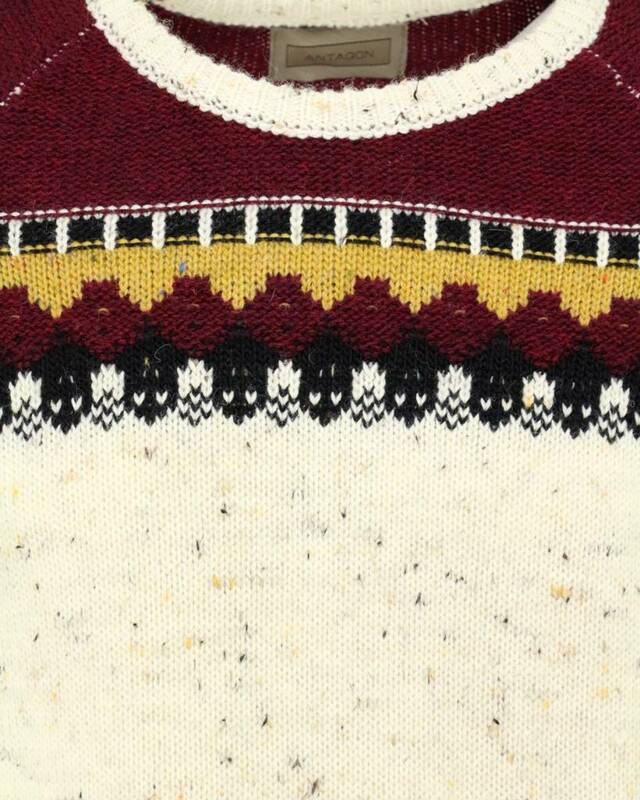 In the light, ecru colored part of the jumper here are bits of yellow and black wool which makes for a playful effect. 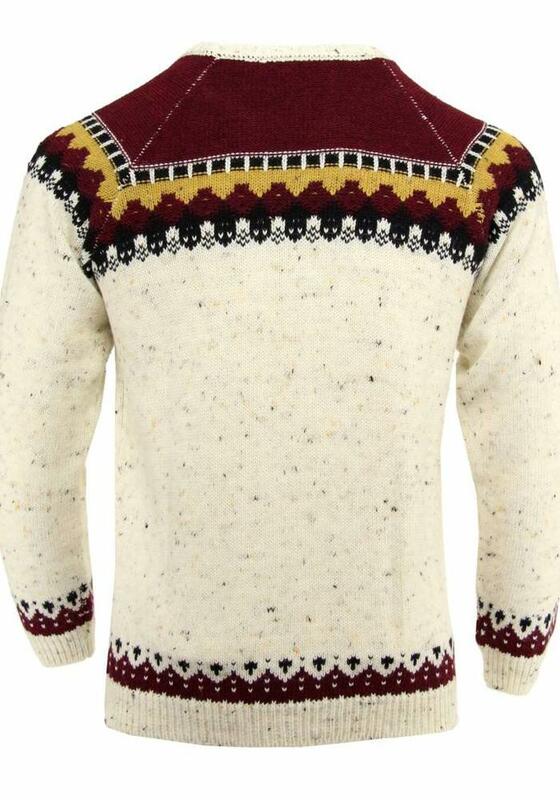 This pullover looks good on a pair of dark jeans. 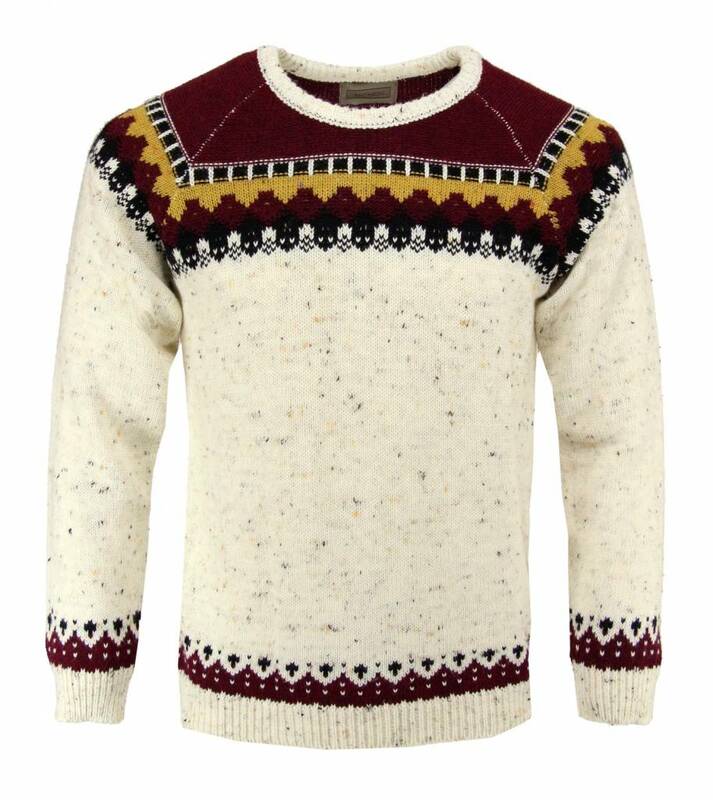 The sweater is made of 72% acrylic, 15% wool and 13% viscose.